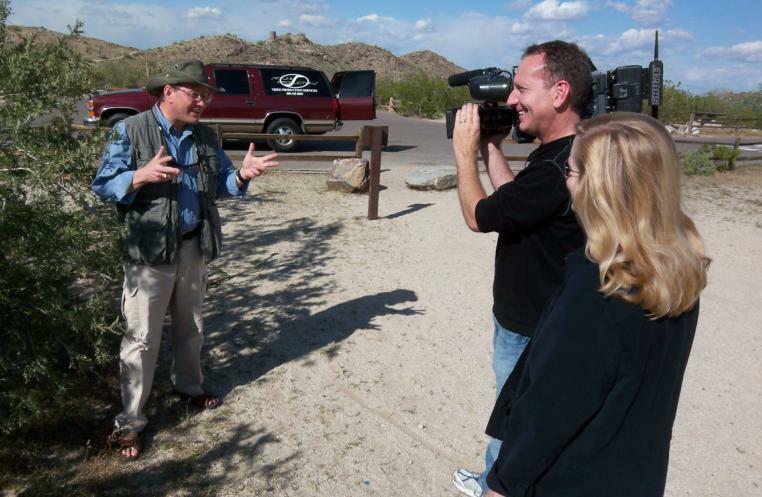 Today Janet and I — along with Joe Reynolds of Skyline Productions — were filming on South Mountain outside Phoenix Arizona. We were filming several closes for the 21 30-minute edited segments of our Footprints of God DVD series which will soon be airing on EWTN. We are currently editing the series into 30 minute segments which will be aired for the next 7 years on EWTN. Stay tuned! Click here to read the article in Catholic World Report. Ignatius Insight has just posted a new interview with Steve Ray on his newest award-winning DVD release: Apostolic Fathers: Handing on the Faith . You can read it here. You can also see a video clip from our DVD.